Before her diagnosis with hereditary ATTR (hATTR) amyloidosis, Gail had a healthy, active social life. 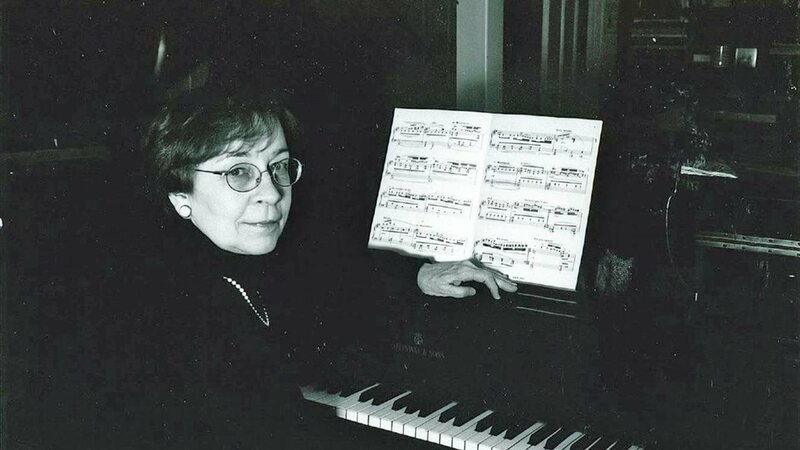 She was a professional concert pianist and university professor of piano. She founded an international piano festival in Paris, France to promote the authentic interpretation of French piano music. Gail was even knighted by the French government for her efforts. Gail is a mother of two children and her many hobbies included watercolor painting, hand quilting, cooking, entertaining friends, and playing bridge with her husband. In 2012, Gail started experiencing pins and needles in her fingers and feet. Over time, these symptoms increased in severity and eventually led to pain and numbness. Her symptoms became so debilitating that Gail lost the ability to hold a fork or write legibly with her right hand. Balance and walking subsequently became problems, and severe gastrointestinal issues arose. She soon lost her ability to play the piano, ending her lifelong career. For a number of years, Gail saw a variety of medical specialists about her symptoms, but no one could find an answer. Finally, in 2017, Gail underwent a series of blood tests, nerve-conduction tests, biopsies and a genetic test, which led to a diagnosis of hATTR amyloidosis. “I was dumbfounded. I had never heard of hATTR amyloidosis and didn’t have any known family history of the illness,” said Gail, whose children have since tested negative for the gene mutation that can cause hATTR amyloidosis. After being diagnosed, Gail’s doctor encouraged her to enroll in an Early Access Program for an investigational therapy, patisiran, which has since been approved by the U.S. Food and Drug Administration for the treatment of the polyneuropathy of hATTR amyloidosis in adults. The drug is now marketed under the name ONPATTROTM (patisiran) lipid complex injection and was the first treatment to be approved by the FDA for this indication. ONPATTRO is a first-of-its-kind RNA interference (RNAi) therapeutic, which uses a natural cellular process of gene silencing to block the production of disease-causing proteins. The FDA approved ONPATTRO based on the results of a clinical trial of patients with hATTR amyloidosis with polyneuropathy, which compared ONPATTRO to placebo. If you, or a family member, are struggling with hATTR amyloidosis or think you may be experiencing symptoms related to the disease, speak with your doctor about ONPATTRO and visit ONPATTRO.com for additional information, including the full Prescribing Information. *Gail is partnering with Alnylam Pharmaceuticals to increase awareness of hATTR amyloidosis. What are the most important things I should know about ONPATTRO? ONPATTRO is given as a drip into a vein (called an “intravenous infusion”). Reactions to this infusion may happen during treatment with ONPATTRO. Before each infusion you will be given medicines that help to lower the chance of infusion-related reactions. For additional information about ONPATTRO, please see the full Prescribing Information at www.onpattro.com.